A former copper mine located halfway between Vancouver and Squamish, the Britannia Mine Museum is a National Historic Site that’s well worth visiting. It’s a popular attraction that scores about 4.5 out of 5 with TripAdvisor and Facebook. Family Fun Day is a special event taking place on the weekend of May 25th and 26th. 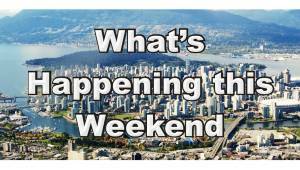 Activities on the Saturday and Sunday include an interactive 3D visual mining technology display, a photo booth, temporary mineral exhibits, drilling demonstrations and other family-friendly things to see and do. Regular admission rates apply. Click Family Fun Day 2019 for more information. Britannia Mine has a new exhibit starting in June of 2019. BOOM! is a “live-action experience” that explains the story behind the historic 20-storey Mill No. 3. BOOM! involves a show-style presentation featuring multiple screens, more than 30 speakers and all kinds of special effects. It promises to be a tremendous new addition to the already very interesting museum. We can’t wait to see it! Click BOOM! 2019 for more information. The Britannia Mine Museum is a National Historic Site at what used to be the largest copper mine in the British Empire. At its peak the mine produced 7000 tons of ore per day and over 60,000 people lived and worked on site. It was a massive operation! The Britannia Mine Museum Society has preserved the mine facility and today visitors can explore some of its original buildings, learn about its history and even go on a tour underground. Click any of the above links to jump to specific information, or continue reading to learn all about Britannia Mine. Britannia Mine is located at #1 Forbes Way in Britannia Beach which is about 45 minutes north of Vancouver and 10 minutes south of Squamish along the Sea to Sky Highway. 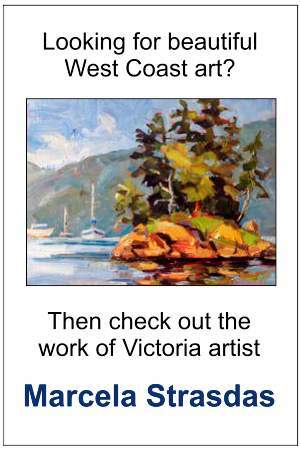 Directions: Head north from Horseshoe Bay along the Sea to Sky Highway. The mine is on the right just 5 minutes past the Furry Creek Golf Resort (which has an exceptional course). If coming from Whistler, the mine will be on your left 10 minutes south of Squamish (and not far past the Stawamus Chief – the giant granite cliff of a mountain which you’re unlikely to miss). Children ages 4 and under are free. Parking is also free. Note: the attraction is open 363 days of the year. The only days it’s closed most years are Christmas Day and New Year’s Day. Annual passes are also available. 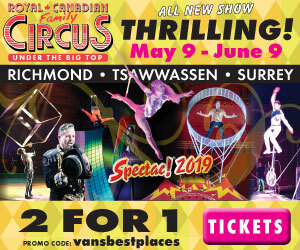 They are a really good deal if you plan to attend more than twice in a year including on special event dates like Family Day, the Copper & Fire Arts Festival in September and the Spoo-ook-tacular Halloween attraction in October. The annual pass for families is an especially good deal as it’s just $30 more than one day’s admission! In addition to 12 months of access to the museum, benefits of annual membership include 15% discounts at 1) select events, 2) for accompanying guests on regular days, and 3) purchases in the gift shop and snack bar. Visit the museum multiple times and the savings can be considerable! The Britannia Mine Museum has a number of exhibits, buildings and things of interest to see and do. In addition to its “Company Store” gift shop and Chatterbox Cafe, there is the Mineral Gallery, a gold-panning pavilion, the Britannia A to Z Historical Exhibits, a kids’ play area, a film about mining, Mill No. 3, other historical buildings and a visitor centre with interactive displays. At the attraction there is also a 45-minute underground tour where you get to wear a miner’s hard hat and ride the mining train into the side of the mountain. Beginning in the summer of 2019, there is also the new multi-sensory BOOM! exhibit. Near the entrance to the Britannia Mine Museum is the visitor centre which provides an introduction to the site. There you will find touchscreen displays and interactive exhibits. Also near the start of your self-guided tour you’ll find the film Groundbreaking which is educational, light and highly recommended. Britannia Mine was an active mine for many years. Copper was the main product, but other minerals extracted included zinc, lead, cadmium, silver and gold. In the Mineral Gallery visitors can see samples of the various metals and learn about what they are used for. A favourite hands-on activity for many visitors is the gold panning. It takes place in a covered area and you can hang out there for as long as you want. Don’t expect to get rich finding real gold, but it’s fun to use the pans and spot the glittering bits in the sand. When we’ve taken kids to Britannia Mine, this has always been one of their favourite things to do. The Britannia A to Z Historical Exhibits is a building where you’ll find museum-like displays describing the history of the museum. You’ll see photos, displays describing life at the mine and a small number of artifacts. If you enjoy history, you’ll find the exhibits very interesting. One of the highlights of Britannia Mine for us is the tour through the underground mine. It’s pretty cool (in more ways than one)! Tours run at set times. On weekdays they typically depart at 11:00, 12:30, 1:30, 2:30 and 3:00. Tours on weekends and holidays are usually 10:00, 11:00, 12:00, 12:30, 1:00, 1:30, 2:00, 3:00, 3:30 and 4:00. Exact times vary, however, and can depend on attendance numbers and other factors. Check at the information desk for times on the date of your visit. The underground tour of the mine begins with a hike up close to 50 steps. At the mine’s entrance you’ll meet your guide, receive a hard hat, get instructions and then climb aboard the mine railway (which is a lot like a miniature train). Kids will love it (unless, of course, they’re afraid of the dark)! Once everyone is ready and on board, the railway locomotive and cars set off down into the tunnel of the mine. It’s dark inside, and the journey is fun. Part way down the shaft the train stops, people get out and you get to walk around a tiny bit in a semi-lit area. In total the underground tour takes around 45 minutes including the introduction and handing out of hard hats at the beginning. Over its 70 years of operations Britannia Mine had three main mills. Mill No. 1 operated from 1905 to 1914, Mill No. 2 from 1914 to 1921, and Mill No. 3 from 1923 to 1974. The massive 20-storey building you can see from the highway at the historic site today is Mill No. 3. Along with the underground tour, Mill No. 3 has always been one of our favourite elements at Britannia Mine. It’s an impressive-looking building. As of the summer of 2019, it’s going to be even more interesting! The newest attraction at Britannia Mine is BOOM! Debuting in the summer of 2019, it’s a live action experience in the historic Mill No. 3 building. The special effects show makes the structure come alive with sounds and sights from days long ago. BOOM! is a theatrical show that promises to be amazing! Click BOOM! 2019 for more information. You’ll learn a lot about the mining industry and history of Britannia Mine on your visit to the museum. You’ll learn that minerals were discovered at the site in 1888, so a decade or so before the Klondike gold rush. The mine itself started up in 1904 and operations continued until 1974. Over those 70 years more than 50 million tons of ore was extracted including some 650,000 tons of copper, 137,000 tons of zinc, 188 tons of silver and over 15 tons of gold, among other valuable minerals. Other interesting trivia you’ll learn are the fact that the mine’s tunnels extended over 200 km and as deep as 650 m below sea level, and that close to 100 people died over the years while working underground at the mine. At the museum you’ll also learn about life at the mine, the role of labour and the mine’s impact on the environment. Easter Dino Egg Hunting – a day with kid-friendly Easter-themed activities on the Easter Long Weekend in March or April (with the month depending on when the holiday falls each year). Family Fun Day – a weekend with special family-friendly activities in May (not to be confused with the Family Day statutory holiday in February). Copper & Fire Arts Event – a one-day event in mid-September featuring artists and the creations they make using mined materials. Art you’ll see on the day includes metal sculptures, paintings and jewellery. In 2019 it takes place on September 14th. Spoo-ook-tacular Halloween – family-friendly Halloween activities and decorations on the last weekend or two of October. 2019 dates are likely October 19th, 20th, 26th and 27th. Below are some tips and suggestions to help you make the most out of your visit to the Britannia Mine Museum. TIP #1: Be sure to do the tour in the mine, which is a highlight of the attraction. TIP #2: Take a sweater as it is cool underground in the mine. Tip #3: Most but not all areas of the museum are wheelchair accessible. Accessibility is an issue, for example, with the underground guided tour which requires going up four dozen steps to access. TIP #4: Expect to spend a couple of hours at the museum, between the underground tour and browsing the various exhibits. TIP #5: About two-thirds or even more of the site is indoors. Most of the attractions are inside or under shelter, so it’s a good place to visit on rainy days. You do need to walk from one building or structure to another, however, so take an umbrella or other rain gear if it’s wet. TIP #6: Tours of the underground mine depart at set times and are on a first-come, first served basis. Unless the museum is experiencing a really quiet day, you may need to line up for the tour as much as 30-minutes before the departure time. Also, unless you get there early, don’t wait until the last tour of the day (just in case it’s full). Unless you really don’t like dark places, or have mobility issues (as you have to climb steps to get there), the underground tour is something you won’t want to miss. TIP #7: Consider visiting other places nearby while you’re in the area. Porteau Cove can be a nice place for a picnic, as are Alice Lake and Shannon Falls. Interested in a serious hike too? Then check out Stawamus Chief (but the back route, not the cliff at the front – unless you’re extremely serious!). For an easy hike and even more spectacular views, take a trip up the Sea to Sky Gondola. If you like trains, then check out the West Coast Railway Heritage Park. For more information about the museum see the Britannia Mine website. 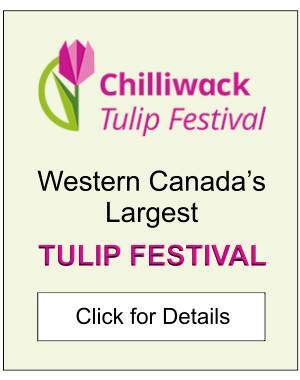 For a list of other top attractions in the area, click Squamish or Sea to Sky Region.